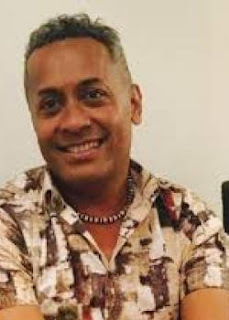 The Australia Pacific Training Coalition (APTC) is pleased to announce the appointment of Jovesa Saladoka as the Country Director for Fiji and Tuvalu. Saladoka took up his new role in late 2018 and comes from an international development background championing social justice, human right principles, and promoting access and equality. Saladoka, who is APTC’s first Fijian Country Director, has worked in the Pacific for more than 15 years and is passionate about empowering local communities to thrive to their utmost potential. Saladoka is joined by Emma Rice, the new Vocational Training Manager for Fiji and Tuvalu. Rice has worked in the social and community sector for the past 22 years, holding leadership and management roles in a variety of community settings including disability, education, child protection and sexual and reproductive health organisations. APTC’s Chief Executive Officer, Soli Middleby, said APTC is delighted to welcome Saladoka and Rice, and is confident that their skills combined will be a great asset to the country offices in Fiji and Tuvalu. APTC is Australia’s flagship programme for training excellence, helping Pacific Island citizens gain Australian skills and qualifications for a wide range of vocational careers. Around 13,000 graduates have graduated from APTC since it began operation in 2007.